Does your video suffer from the shakes? Perhaps it needs a dose of Emulsio! 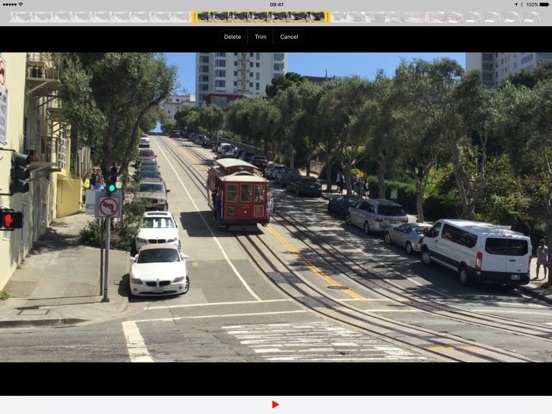 Equally at home on iPhone or iPad, Emulsio is an impressive app that will stabilize unsteady footage, remove unwanted rolling-shutter artifacts (a.k.a. “jello-cam”), and make you the envy of millions (that last part is not guaranteed). 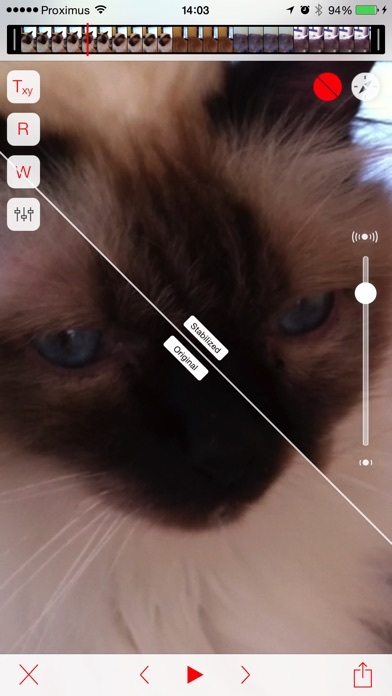 Simply import a shaky video from your iThing’s camera roll, let the app analyze your clip’s motion, move a slider to control how much stabilization you want to apply (higher settings result in greater cropping), and then export the results back to your camera roll or distribute it via the iOS share panel. The whole process is remarkably simple. 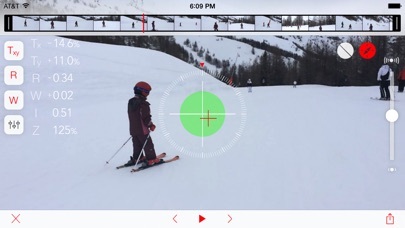 One feature worth pointing out is Emulsio’s ability to apply its stabilization magic to 120fps videos shot on an iPhone 5s — something your iDevice’s default stabilization feature won’t even attempt. The app is free to try, but requires a $1.99 in-app purchase to remove the 30 second time limit and watermark. That price is expected to go up after April 5th. Bottom line: If you shoot video with your iPhone or iPad, and you don’t have a Steadicam vest permanently attached to your chest, Emulsio should be a part of your arsenal. Period. Need a little more convincing? It just won Best of Show at this year’s expo. Boom! Want to make your videos smoother and more professional? Emulsio is a video editing application that automatically removes camera shake, and lets you make cinematic motion just like professional movie editors. 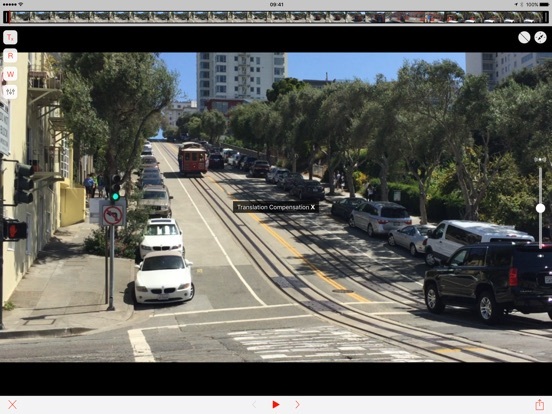 Emulsio lets you use advanced stabilization techniques, adjust the stabilizer strength, preview the result within the app, and even view a before/after video comparison. You can also trim or cut any part of the video. Emulsio is a must have for all movie makers! Emulsio is available as an extension of the built-in Photos app. 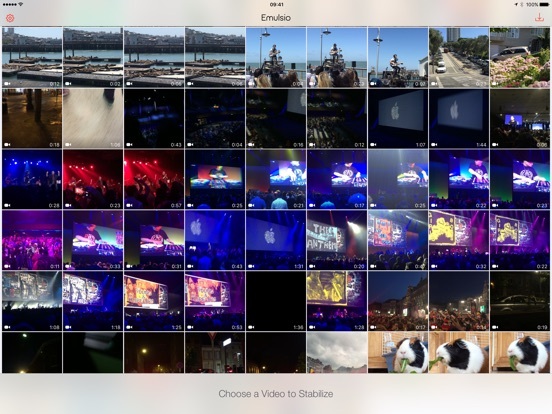 You can stabilize videos, and use all Emulsio’s features without leaving the Photos app. Besides, you can either save the changes right in the input video, or export a new stabilized video which will be saved next to the input video in the Photos app. Emulsio can be tried out for free and the watermark can be removed through an in-app purchase. 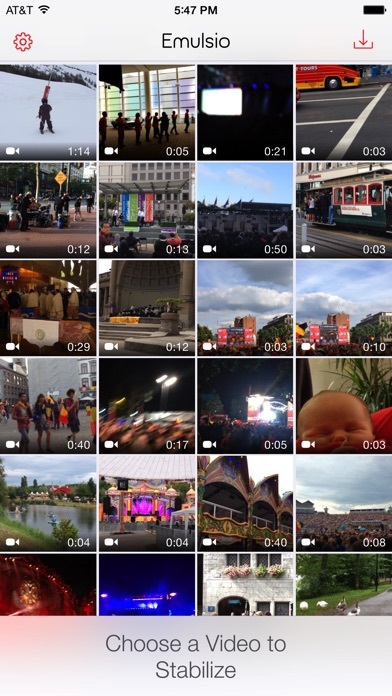 - Import any video from the iPhone/iPad album or any other compatible application. - Choose the stabilization strength necessary to efficiently remove distracting camera vibrations. - Compensate horizontal, vertical and rotational camera motion, as well as rolling shutter distortion. Besides, Emulsio can handle the black borders by momentarily decreasing stabilization strength. 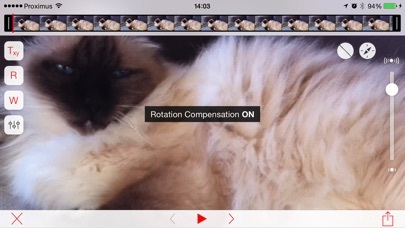 - Inspect video frame by frame. - Assess stabilizer effect and settings by playing both the original and stabilized videos simultaneously. - Remove any part of the video. This is a non-destructive process, you can always change your mind until final export. 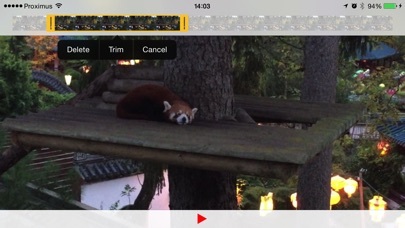 - Export the stabilized video to any compatible application (Mail, Messages, Facebook, Dropbox, Evernote, iMovie,…). - Very fast video processing on your iPhone or iPad. No Internet connection required. - Optimized for latest iOS and for 64-bit devices. - Support for high-speed videos (up to 240 FPS) which preserve their frame rate after export. 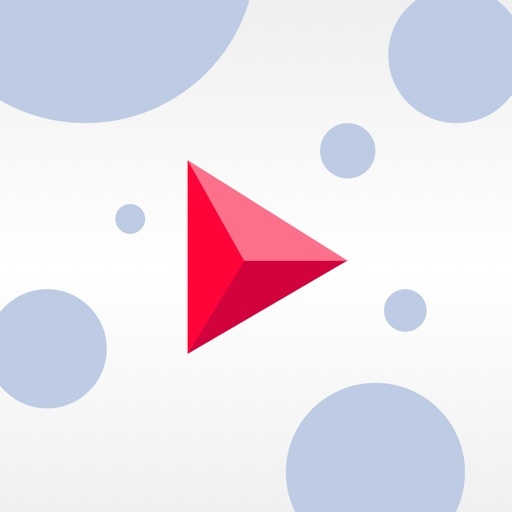 - Modern iOS features: import and export of HEVC (compatible devices only), Drag & Drop, and Peek & Pop. - Pro Pack 2: better accuracy for 4K videos, improved correction of rolling shutter distortion including third party sensor calibration, and removal of the watermark.